Odpověď by měla obsahovat fakta o tématu Vzdělávací systémy. How can be the school system divided in the Czech Republic, Great Britain, and in the USA? Tell me about it. Is the school attendance compulsory? Tell me about it. What is secondary education like? Tell me about it. What is tertiary education? Tell me about it. Are universities free? Tell me about it. What is the difference between public and private schools? Tell me about it. What is the grading system like? Tell me about it. Do students have to wear uniforms? Tell me about it. How old are the students when they graduate from high school? Tell me about it. What are the best universities in the Czech Republic, Great Britain, and in the USA? Tell me about it. Do you want to continue your studies after high school? Why?/ Why not? Do you like the Czech school system? Why?/ Why not? Would you like to wear uniforms in school? Why?/ Why not? Have you ever considered studying abroad? Tell me about it. Which school system do you think is the best one? Why? Jak si s tímto zadáním o vzdělávacích systémech poradíte Vy? 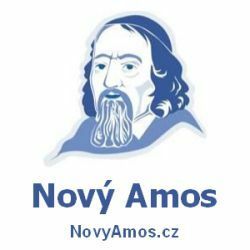 Příspěvek byl publikován v rubrice Vzdělávací systémy se štítky School systems a jeho autorem je NovýAmos.cz. Můžete si jeho odkaz uložit mezi své oblíbené záložky nebo ho sdílet s přáteli.